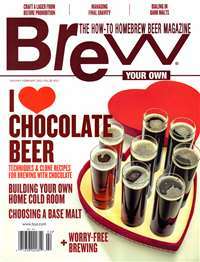 Woodcraft Magazine is a subscription-based publication that focuses on high-interest woodworking projects, techniques, and products through articles that appeal to woodworkers of all skill levels. 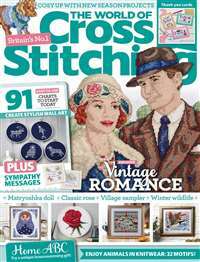 Six premium issues a year deliver projects that range in size from small keepsake boxes to large furniture as well as skill-building techniques and products that save time and/or improve a woodworker's precision and confidence through the project-building process. 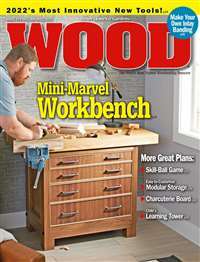 Seasoned woodworkers write the articles, providing hands-on experience and mentoring for woodworkers of all levels and interests. 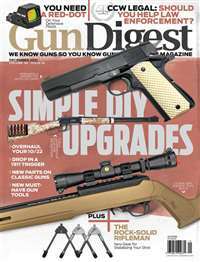 Tool experts introduce readers to the latest tools and tool innovations. 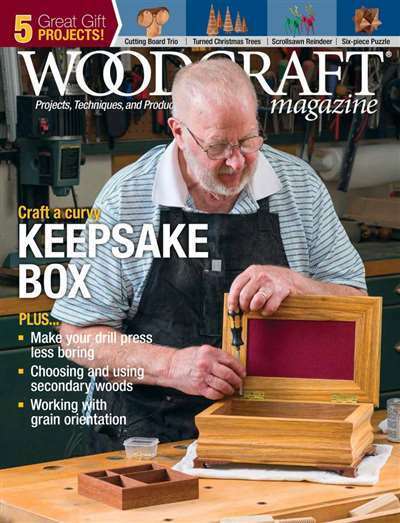 And for those looking to improve their shops, Woodcraft Magazine provides authoritative guidance for specialized storage, dust collection, shop setup, and more. 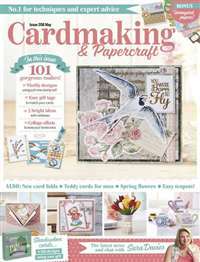 Subscribe to Woodcraft Magazine at MagsConnect.com.